The nation is sharply divided between those protesting against growing intolerance and those attacking them for seeing what does not exist and asking them to migrate to Pakistan. Those who have seen the Indian Prime Minister’s irresistible rise in politics and heard his inflammatory rhetoric over the years were astounded by his speech in Parliament. Short of quoting from the Bible, Narendra Modi sought to convey to his opponents that his “idea of India” was no different than theirs! And it is this very “idea of India” over which the two sides have been battling with each other. Modi’s critics would not believe the new convert, but his few conciliatory words may cool the tempers in an atmosphere of verbal and physical violence. Prime Minister Modi refrained from making aggressive remarks or gestures. A TV anchor said Modi at last spoke like a Prime Minister after having gone around in Bihar speaking unlike a Prime Minister! The Prime Minister talked of sarva dharma sambhav (inter-faith harmony) and ruled out any move to amend the Constitution. Modi endorsed secularism, called the Constitution – not the Ramayana – a holy book, quoted from the Hindu scriptures lauding diverse faiths, stressed the importance of a political consensus and devalued the force of a brute parliamentary majority. So democracy has modified Modi’s speech! Such a speech would have normally made no news in India because statements on India’s pluralism are routine. But these are no normal times. The nation is sharply divided between those protesting against growing intolerance and those attacking them for seeing what does not exist and asking them to migrate to Pakistan. In the current atmosphere, had Nehru called a dam a “temple” of modern India, a Hindutva brigade would have shown him the black flags. In today’s India, every word is read for its sub-text. You utter the word “intolerance” and in seconds you will be abused on the social media and called “anti-Modi”. Prime Minister Modi appeared in a new avatar ringing bells to herald a season of peace and goodwill at least in Parliament where he needs the Opposition’s cooperation to pass some important Bills. He could have aptly quoted St. Francis of Assisi: “Where there is discord, may we bring harmony…” Margaret Thatcher uttered these words while entering 10 Downing as Britain’s new Prime Minister and went on to bring confrontation where there was accord! Modi has often said in India and abroad that after more than 60 wasted years, India began its development journey only 18 months ago. Now Modi did a U-turn and giving credit to all the previous governments, he struck a note of conciliation. The political pundits attribute the emergence of Modi Mark II to his party’s crushing defeat in the Bihar state elections for which the Prime Minister was the lead campaigner. The context of Modi’s speech in Parliament was a bit paradoxical. It was a celebration to mark the 125th birth anniversary of Dr. B. R. Ambedkar, one of the architects of the Indian Constitution. The Congress leader, Sonia Gandhi, had a dig at “the people who had no faith in the Constitution now swearing by it”. The ruling BJP has been trying to appropriate the national leaders who had nothing to do with its ideology. Sardar Patel had charged the RSS with spreading communal poison and Ambedkar rejected Hinduism and chose to become a Buddhist. The Prime Minister even praised Nehru whose contribution was completely ignored by him while addressing the recent Indi-African summit. A Hindu political party during an election campaign not long after India’s independence had portrayed Nehru as a beef-eater and a cow-killer. But it got nowhere in the face of Nehru’s drive to modernise India and promote the scientific temper to check the communal forces. Modi’s political formation achieved an outstanding success in the last national election. But it was a poll battle lost by the Manmohan Singh Government rather than one that was won by the Hindu nationalists. Angered by political corruption, lack of leadership and degraded governance, a large section of secular voters saw Modi as a Messiah. Thus as a Prime Ministerial candidate, Modi attracted additional non-BJP voters while commanding an ideologically-fired committed support base. However, Modi’s secular followers started getting disappointed with him within a year of his assuming office. The verdict of the Bihar voters was the last straw. Even some party elders expressed their disenchantment. The communal card did not work and the BJP leaders’ attempt to polarise the Hindu voters failed. Apart from this failure, the movement against intolerance diminished his political stature at home and his credibility abroad. The rapid response teams of the ruling establishment denigrated the protesting writers, artists and scientists and issued more provocative statements to unnerve the minorities. But then references to India’s tradition of pluralism started cropping up in the speeches delivered by the President of the Indian Republic. The Prime Minister could no longer take the risk of the political atmosphere turning stormier. At last he realised what one of his predecessors from his own party instinctively knew – that India cannot be governed by ignoring its diversity. 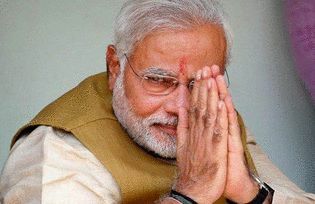 Modi found that he could not run the Government of India in the fashion he had run the Gujarat Government. India’s diversity and the tradition of pluralism make it impossible to enforce the agenda of uniformity. Modi’s performance in a new role thus became a political necessity. The Prime Minister also faces the practical difficulty of the ruling coalition not having a majority in the Upper House of Parliament. The Opposition has to be talked to, not attacked all the time, if Modi has to spur economic growth and increase India’s ratings. After the Bihar elections and listening to some discordant noises within his own party, the Prime Minister found it necessary to invite the Congress leaders in for tea and make a new kind of speech in Parliament. In the face of a gathering storm, he could no longer care about hurting the psyche of the extremists in his political family whose destructive acts and provocative statements he has dutifully ignored. The Bihar election results have ended their dream of a Hindu Kingdom. Prime Minister Modi refrains from taking them on. He is unlikely to sack any minister for making statements hitting out at a religious minority and designed to disturb social harmony. Nor is his party going to take any action against an errant Member of Parliament. It remains to be seen whether Modi’s soft Hindutva would make a hardliner call him a “sickularist”, a term coined by his party men to abuse the secularists! The reaction of the Hindutva base to Modi’s speech will be known over the coming weeks. Will the hardliners feel let down by Modi Mark II? They may control their dissatisfaction unless Modi suffers another political setback. The RSS which nurtured Modi since his youth and chose him as the Prime Ministerial candidate is keen to expand its influence through political power. In the process, it has compromised some principles related to economic policies, self-reliance, the personality cult, simple living and not playing the regional or casteist cards in election campaigns. Modi’s speech in Parliament will be studied for its linkage with the core Hindutva agenda. After the Parliamentary session, the Prime Minister may come out with some more, second thoughts. But that would only further affect Modi’s credibility. His speech, of course, pleased his secular devotees who had started advising him to be at a mini-Nehru and to control the fringe elements in his party. They can now defend him even with greater vigour. It remains to be seen how far Modi can go in projecting his new image. Stealing the political clothes of rivals poses no great problem in countries that have witnessed the end of ideology. Tony Blair demonstrated this when he abandoned the Labour principles, appeared as a Thatcher child and led his Labour Party to victory. Electoral success is all that matters. Modi understands the art of deal-making and offered incentives to domestic and foreign businesses. The RSS went along making small compromises in the economic policy areas. However, Modi will find trading in ideology difficult. The RSS likes political power but has strong cultural moorings so it would not grant much ideological freedom to its creation called Modi. The sectarian passions, intolerance and divisive politics crippled the Parliament, degraded governance and made millions of Indians anxious about their future. The health of democracy calls for constant vigilance. Democracy can face a challenge from an elected Government as well as from the state-empowered or independent vigilante groups who curtail the freedoms of the citizens. They can go to the extent of murdering the dissidents. The non-state actors at times are used by the ruling establishment hampered by the Constitution to implement its unconstitutional agenda! Many mainstream political leaders run their poll campaigns by inflaming sectarian passions as is seen even in older democracies. Those disturbed by this trend start blaming democracy itself. National Conference leader Farooq Abdullah laments: “To hell with these elections. I believe every election weakens India instead of strengthening it as it divides people in the name of religion”. Some recent events and statements have indeed injected a large doze of sectarian poison into society and it could be hard to detoxify the body politic. And yet in the present surcharged atmosphere, even some temporary relief will be counted as a blessing. If Modi’s party men stop calling dissidence anti-nationalism, it will have a somewhat benign influence at a time when the nation is in a temper. Modi’s second thoughts are in keeping with the traditional political wisdom that any move to polarise the Hindu voters can take you this far and no further. In India’s experience of democracy, the cause becomes the cure, as the voters who swing to an extreme soon return to moderation. A party may win one election by talking of building a Hindu temple and protecting Hinduism but then the Divine blessing does not last till the next election. Democracy allowed a leader agitating against an elected government to call on the armed forces to revolt. The strength of Indian democracy lay in the fact that the armed forces just ignored the call. Democracy let an elected leader use the Constitutional provision for Emergency in order to curtail civil liberties and jail the opposition leaders. The leader was thrown out by the voters when the time was ripe. The new Government empowered by its majority in Parliament deleted the draconian provisions in order to safeguard democracy in future. Indian democracy tends to disturb social harmony on the eve of an election but it also activates a reaction. Consequently, India’s civilisational values get reasserted and the threat of an authoritarian rule passes. The political leaders are made aware of India’s diversity. This self-corrective mechanism overcomes a crisis and keeps Indian democracy alive and kicking. L K Sharma has followed no profession other than journalism for more than four decades, covering criminals and prime ministers. Was the European Correspondent of The Times of India based in London for a decade. Reported for five years from Washington as the Foreign Editor of the Deccan Herald. Edited three volumes on innovations in India. He has completed a work of creative nonfiction on V. S. Naipaul.